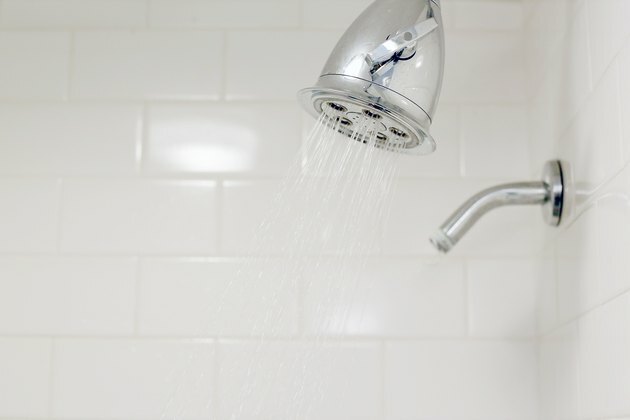 Black mold usually develops in shower walls by using soap film as a food source. This type of black mold is usually not one of the more deadly of the black molds, but it still needs to be removed as soon as possible as it might contain a strain of mold that causes allergy or asthma issues in household members susceptible to respiratory problems. 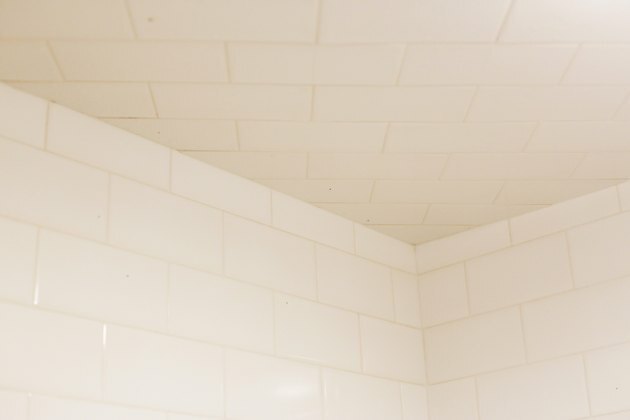 Removing black mold from shower walls is a two-step process in which you kill the mold, then remove the discoloration from the black mold. 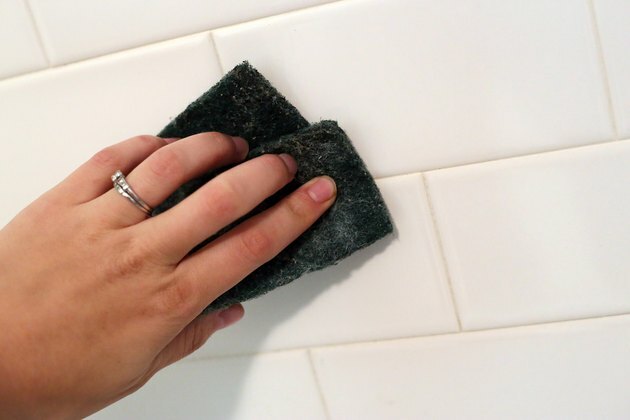 Squeeze dishwashing liquid directly onto a wet sponge and wash the section of the shower wall with mold to remove soap film and dirt. Do not use commercial cleaners to clean the area as you will be using bleach in later steps and don't want to risk a chemical reaction. 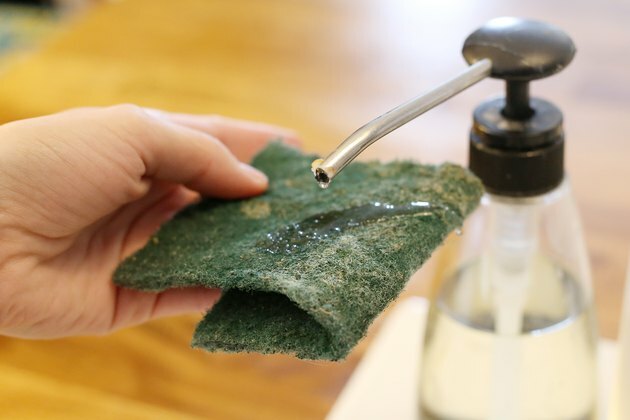 Rinse the section well with cool water and wipe dry with an old towel or cloth. 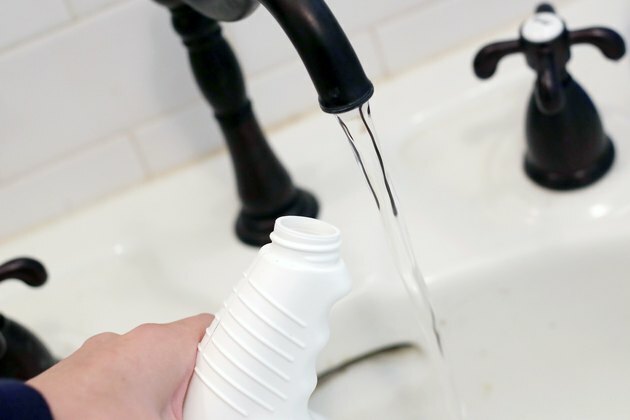 Pour 1/4 cup bleach into a quart-size spray bottle. Fill the remainder of the bottle with cool water. 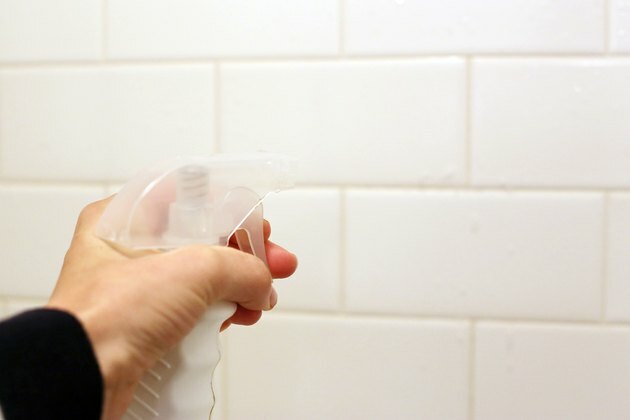 Shake the bottle to mix the contents, then spray the moldy section of the shower with the mixture. Allow the mixture to sit for ten minutes. Rinse away the bleach with cool water. 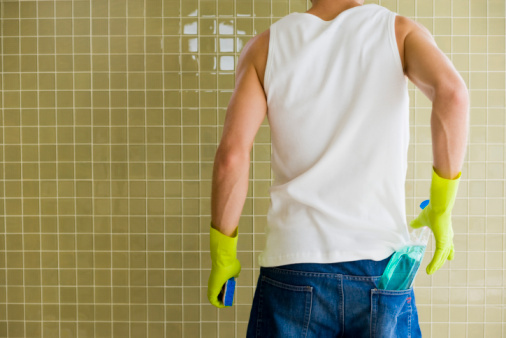 Make sure the wall is thoroughly clean with no bleach residue remaining. 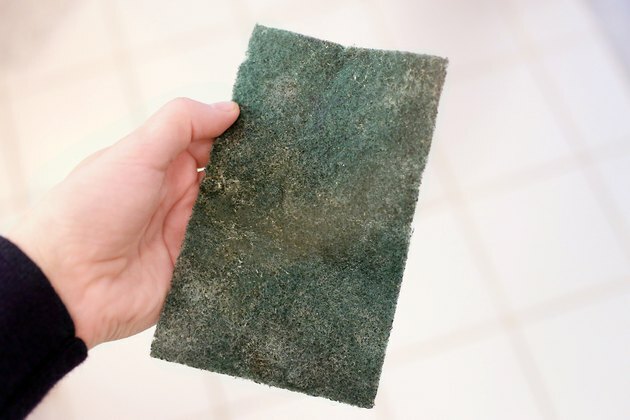 Place a small amount of strong detergent, such as laundry detergent, on a wet scouring pad or brush. 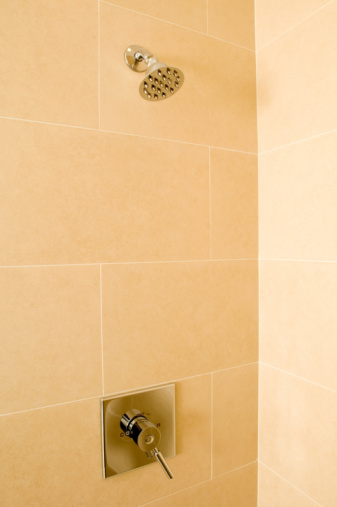 Choose a cleaning implement that is suitable for the surface of your shower and that will not scratch the finish. 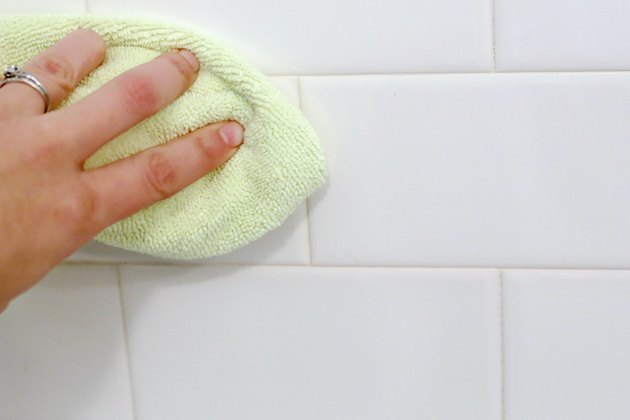 Rinse the moldy section with hot water, then scrub with the pad or brush until you have removed all the stains. 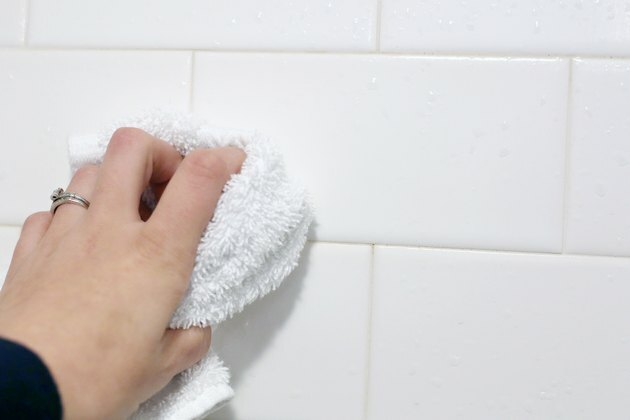 Rinse the area thoroughly with warm water. Make sure you remove all the detergent.